Recently, I keynoted at the National Association for Presbyterian Clergywomen (NAPC). The conference was on a cruise ship, which supported the conference theme, One Baptism, Many Waters. As a part of my keynote, I talked about what it means to be in a baptismal community – a community where you don’t have to explain yourself, where there are shared experiences of joy and struggle, and where it is comfortable to be oneself. It’s refreshing like living water to be a part of such communities. For many Presbyterian clergywomen, NAPC has been that baptismal community. As NAPC moves into the 21st century, they wonder how to share their community with younger clergy as well as clergywomen of color. This is an interesting time to be a clergywoman. As clergywomen, we are more diversified than ever in demographic make up, pressing issues, ordination experiences, struggles, and advocacy concerns. We no longer rally or organize around one single issue or concern. When we gather, there are differences according to generation, race, life experience, socio-economic status, sexual orientation, and privilege. Within those differences are subtle, unintentional shifts of power that can undermine any baptismal community when gone unnoticed. So how does one create, live, or exist in a baptismal community that embraces diversity? We must recognize that just because our baptismal community is a safe and welcoming place for us that it may not be for someone else. The very nature of how the community functions, makes decisions, and engages with one another may actually be foreign, unwelcoming, and uncomfortable to someone else. A part of being in a safe community is that who you are is the norm. I may be in a man’s world when I am working in the Church, but in my group of clergywoman, I as a woman am the norm. But I’ll be honest. When I am in a group of predominantly white clergywomen, I don’t feel the norm. We must be careful not to assume that our lived experience is someone else’s lived experience. Whenever Jesus enters a community, he is very aware of the power and attention his actions and his mere presence brings. When approaching the Samaritan woman, he was very aware that as a Jewish man, he was drastically going against the norm by engaging in conversation with a Samaritan woman. We also must recognize the different power plays and structures among us. I am a part of the Korean-American Presbyterian Clergywomen. Besides being Korean and women, there are a lot of nuances we have to contend with when we are together. We have to be aware that those who were born in the U.S. may have more opportunities than those who immigrated. We have to be aware that within our Korean community, those that are older have more voice than those who are younger. If one truly wants to make their community more welcoming to those that are different, then it’s about readjusting what is considered safe, comfortable, and normal in one’s community. It isn’t enough to invite those that are different into your community just so that the community will “look” different. I get asked often to join this group or that group because they need younger voices or more people of color. I always respond with “that is your need, not mine.” I as a woman of color do not feel the need to be a token person of diversity. I would rather be a part of something because of what I have to offer in experience, skills, and ideas rather than how I look. It’s interesting that Jesus except for a drink of water doesn’t ask the Samaritan woman for anything, but instead offers her something – something that is nourishing, life-giving, and eternal. Instead of thinking about what someone has to offer your community, think about what you can offer to them. Many times, readjusting the norm in one’s community means that a significant number of one’s community leadership has to reflect the “other.” The challenge is that the community has changed so much that it is no longer the safe baptismal community that long-standing members have been a part of. Sometimes being a part of a baptismal community is not about being comfortable or safe. In those moments when we are uncomfortable, we have an opportunity to learn ways to be truly inviting of the other. By removing ourselves from places of comfort and engaging in other diverse communities, we open ourselves to understanding ways we participate in understanding our own actions as well as understanding others. We also have to be aware of what our role is when we are guests in other’s baptismal communities. As guests, we should be observers and be aware of how our presence changes the dynamics of our environment. This awareness can only happen if we recognize how we fit in the current structures of power and if we are willing to readjust our perspective of what is the norm. Does my presence translate as dominance, welcoming, or unwanted? Notice that Jesus is not in his community, he has entered Samaria – the community of the woman at the well. Sometimes we need to be reminded why we are members of a baptismal community. We need to reclaim the purpose of why this particular baptismal community exists. Especially if an organization or community has been around for a long time, then members can get too comfortable with each other . . . so much so that it makes “newbies” feel left out. I am a part of two baptismal communities that have been living water for not only my ministry, but for me personally. One, I mentioned previously. 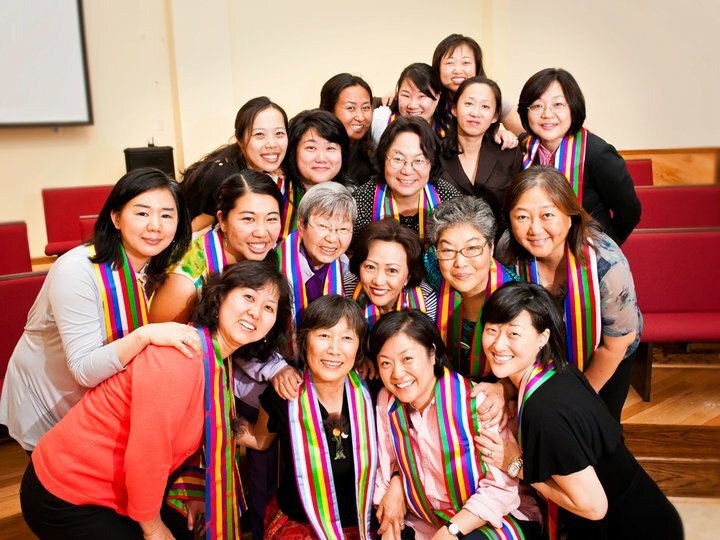 My Korean-American clergy sisters have been through a lot together and with each other. We have loved, supported, argued, and cried together. Last year, we celebrated our 20th anniversary as a baptismal community. It was a time to not only reclaim our need and appreciation for each other, but also welcome and introduce new ones into this wonderful support group. Baptismal communities are vital to our spiritual and personal growth. God calls us to be in community. When we baptize, we do not baptize in solitude but in the midst of a faith community. It is okay to have a baptismal community that affirms who we are and what we are about. We just need to be aware of how we invite or enter into other baptismal communities. Let us be refreshed by the living water that Christ provides – a living water that is refreshing, renewing, and life-giving. I share this version of the story of the woman at the well that was written at a Racial Ethnic Pastors Conference in 1998.
by Rev. 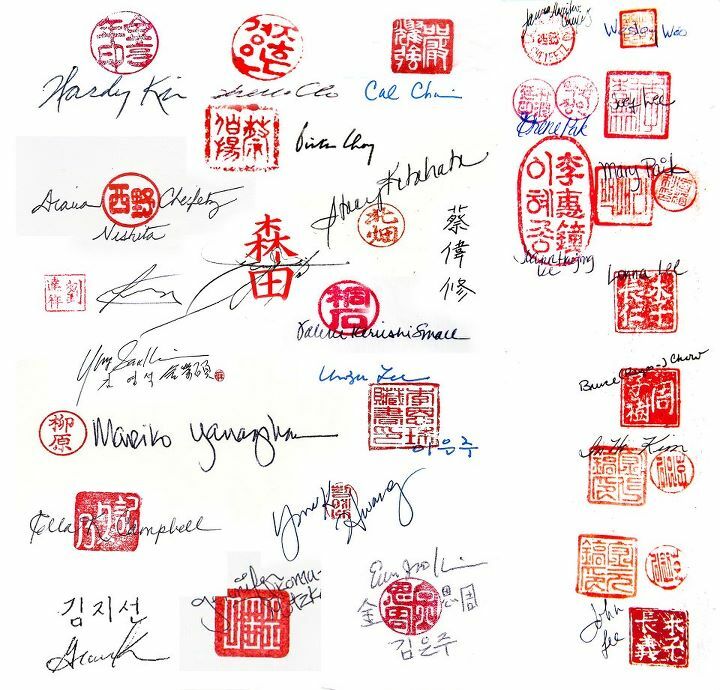 Lonna Lee, Jeannie Yee, Rev. Dr. Arlene Gordon, Rev. Sarah Reyes-Gibbs, Rev. Mary Paik, Rev. Carrie Buckner, Rev. Dr. Clarice Martin, and Laurene Chan. … and Jesus, tired from his Traveling Narrative , was sitting at the well. It was about noon. Thank you, Theresa, for your personal, reflective, wise words shared that all of us might receive some refreshment for our souls. Blessings, friend, and take care of yourself.